Ramsey, Minn. —Minnesota public school officials have agreed to display a student-created art poster depicting Jack Skellington from Tim Burton’s The Nightmare Before Christmas and other secular Christmas icons after The Rutherford Institute intervened. School officials at PACT Charter School had initially refused to display the poster, citing concerns about its “religious” implications—namely, the fact that it contained the words “Merry Christmas” and depicted Christmas-related themes. 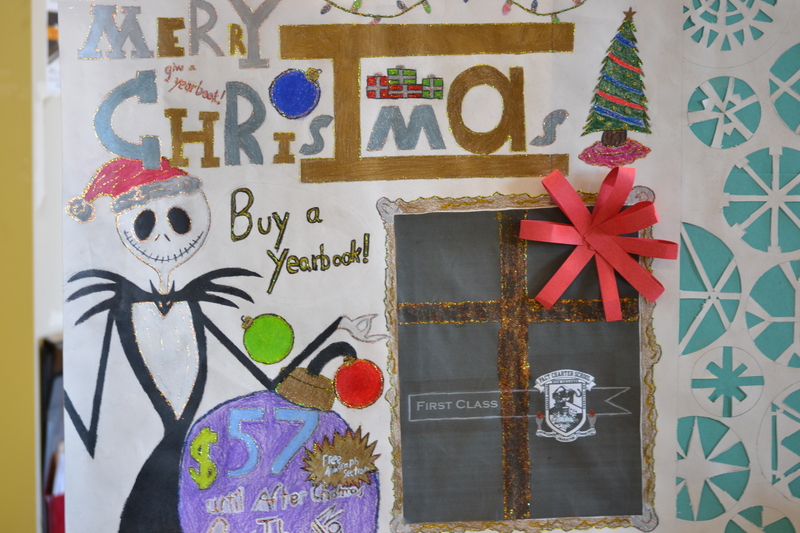 Students had created the festive poster as part of a sales campaign to encourage people to buy yearbooks as holiday gifts. In coming to the students’ defense, Rutherford Institute attorneys pointed out that the poster designed by the students is wholly secular and could not in any way be interpreted to constitute a promotion of religion in the school. Moreover, Institute attorneys noted that school officials had misapplied the First Amendment’s Establishment Clause, which does prevent the government from endorsing religion, but also prohibits censorship of free speech and expression. In reversing his initial decision, the Executive Director of the PACT Charter School will now allow students to display the Christmas yearbook sales poster in the hallway of the school building. Students enrolled in a yearbook class at PACT Charter School were asked to create a poster to advertise sales of the yearbook as a possible holiday gift. The students did as instructed, producing a creative and dazzling poster without any religious iconography, and only including secular Christmas icons and characters, including Jack Skellington from The Nightmare Before Christmas. However, when their teacher attempted to display her students’ work, she was prevented from doing so by school administrators, who cited concerns that the poster constituted an establishment of religion. Called on to defend the students’ First Amendment rights, Rutherford Institute attorneys explained that courts have consistently ruled that acknowledging the cultural and historical significance of Christmas in schools is fine, so long as there is no attempt to endorse a particular religion. This case joins a multitude of other incidents in which ongoing confusion arising from political correctness over the do’s and don’ts of celebrating Christmas in schools, workplaces and elsewhere has led to perfectly constitutional activity being suppressed by overzealous public servants. For example, in one case, a public school 6th-grade class was asked to make “holiday cards” to send to the troops but were told they could not use the words “Merry Christmas” on their cards. Similarly, nativity displays, Christmas carols, Christmas trees, wreaths, candy canes and even the colors red and green have been banned as part of the effort to avoid any reference to Christmas, Christ or God. Hoping to alleviate this confusion, The Rutherford Institute has made available its “Twelve Rules of Christmas” guidelines.